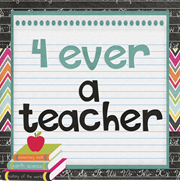 4 Ever a Teacher: I'm so excited! I just completed all the steps in opening up my own account on TPT...I'm so excited to have added my first item. I, myself, have purchased many great items and have many more on my wishlist. I want to be able to share what I'm doing in my classroom and hope that it helps someone out there in "education-land". 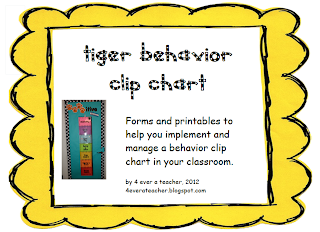 My first item is a behavior clip chart that I used this past year with my students. I loved it! It is a tiger theme to go with our school mascot. This coming up school year I will be making a new one to go with my new theme. I change themes every year! It is so easy to use and students manage their own clips. My favorite part is giving students the opportunity to move back up after they have moved down. It is not a one way road. They can move up as many times as needed or as they earn for classroom behavior, effort, and attitude. My fifth graders really wanted to make it to outstanding every day. Their reward for such a feat was to earn a punch on their no-homework punch-card. At first I was more liberal with the upward movement and slowly became more selective. I must have had a total of 2 parent contacts all year! It really makes students responsible for their own learning and behavior. 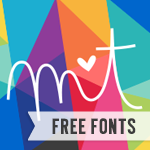 So head on out to my TPT store to get your free copy. Just popped over and became your newest follower. You have some great stuff!